I&K Virgin Brazilian Wave is made from 100% high grade human hair, therefore you can cut and style it as you would with your own natural hair. As it is Virgin hair, it has not been processed with colour and is in its natural colour; therefore it can be coloured and bleached. 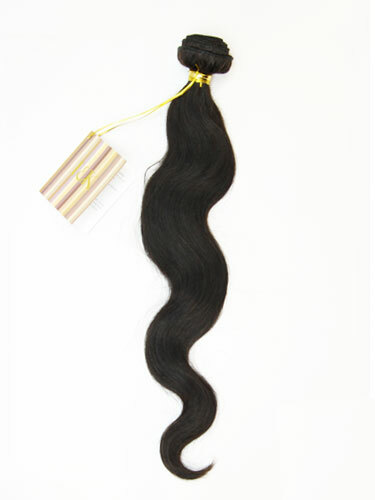 The Brazilian Wave will keep its bounce and wave after it has been washed, providing you care for it using products that are suitable for hair extensions. Available lengths: 14", 18" and 22"
Our wavy hair is treated to be wavy and therefore not a permanent curl, the more the hair is washed and straightened the quicker the curls will drop out. . 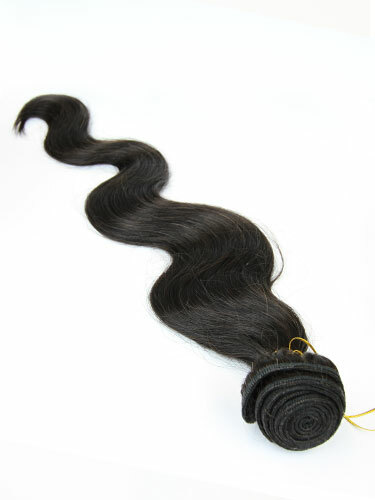 When dying I&K Virgin Brazilian Wave hair extensions, it is recommended to seek help from a professional hairdresser and test on a small piece first. Lovely hair washes well and retains the wave. I have just placed a second order for this hair and I will definitely be buying more in the future. Thank you for stocking this, I'm so glad I've found it.